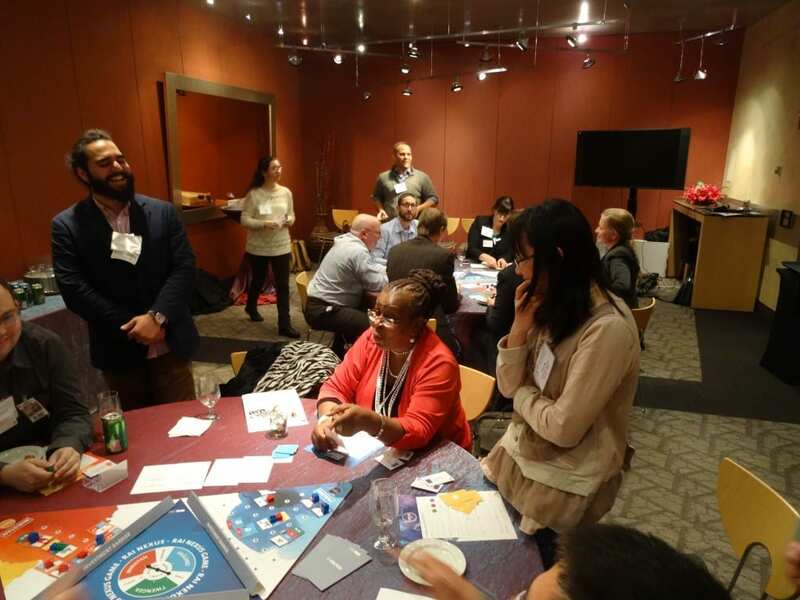 At Tuesday October 27th, Perspectivity delivered a session of Nexus!, the energy-water-food stress nexus board game, for the University of Maryland at the offices of the World Bank in Washington. Five students from University of Maryland were trained the day before the event and were enthusiastic to act as gameleaders for future events in the US as well. With various follow-up inquiries after the session, these may be seeds for more impact by Perspectivity in the United States.